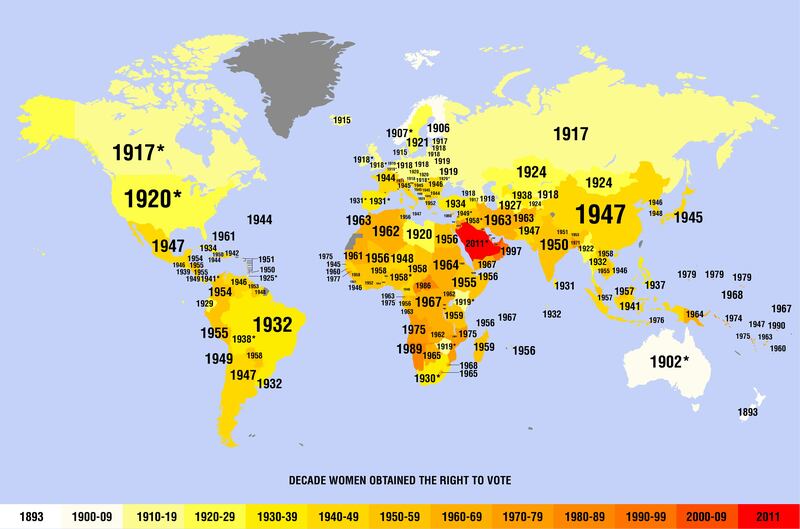 The map above shows when women got the right to vote in each country around the world. 2018 marks the centenary of Women’s suffrage in the UK and even then only with several restrictions (had to be over the age of 30 and meet property qualifications). 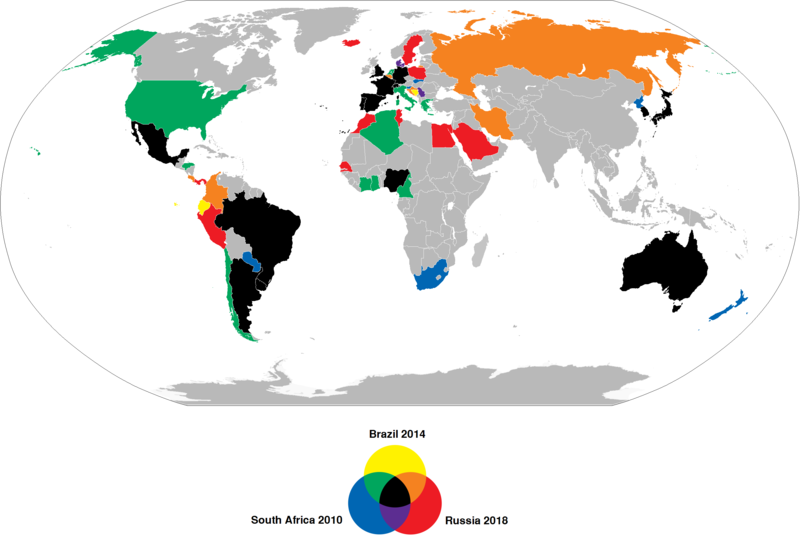 The deceptively simple map above shows which countries qualified for the 2010, 2014 and 2018 FIFA World Cups respectively. The genius lies in the use of colour, which allows you to very quickly and easily see which countries qualified and in what year(s). 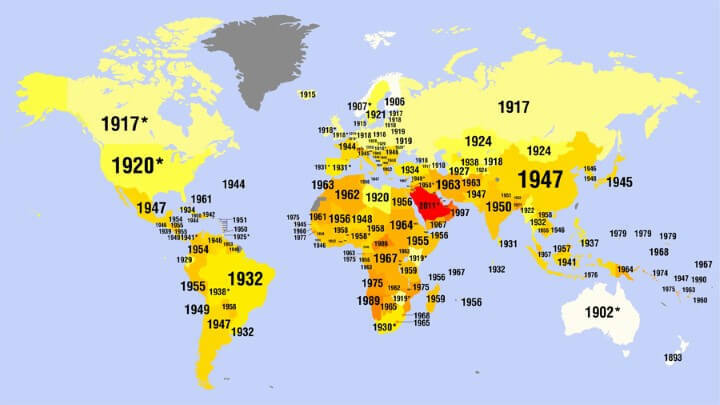 The map above shows just about every country that has been invaded by France one way or another. 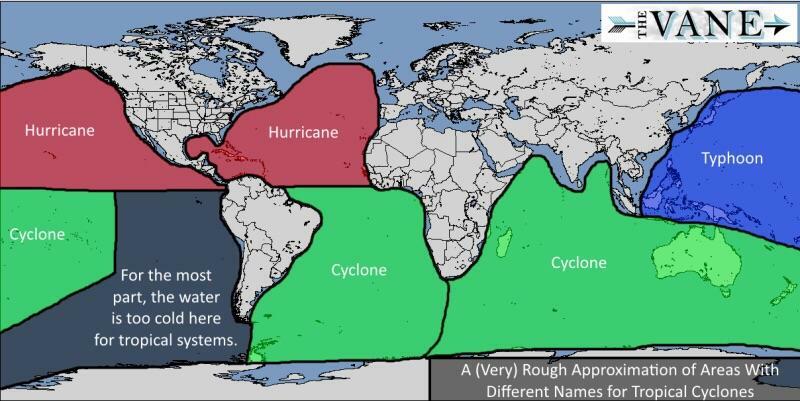 Did you know that hurricanes, typhoons, and tropical cyclones are basically just different names for the same weather event. The map above shows where each name is used around the world. 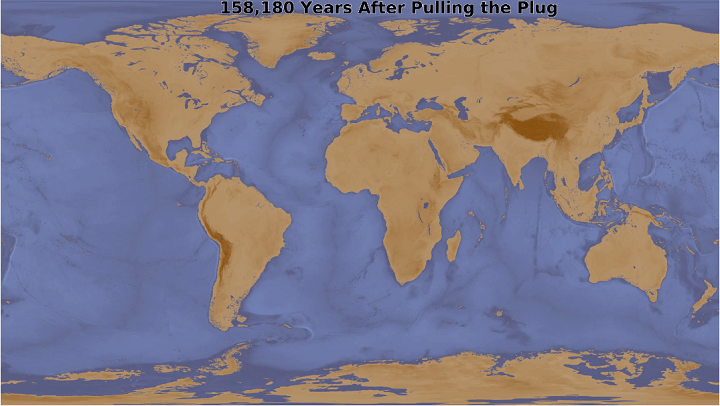 One of our most popular maps is Pangaea With Current International Borders. However, while it’s without a doubt an amazing map, many users have commented that they wished that you could see the whole world. 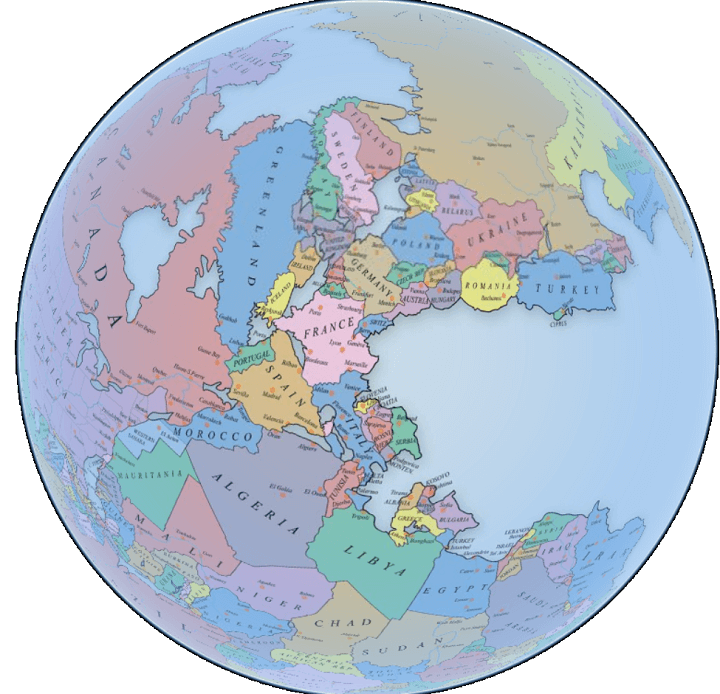 Fortunately, Tomas Slavkovsky from Melown, has done just that, creating a fully interactive Pangaea map with modern international borders that allows you to explore the whole earth. 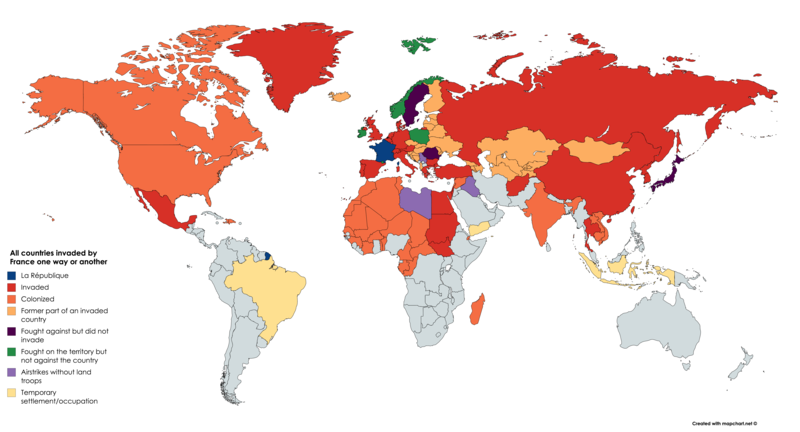 The map above shows which countries Americans consider their allies and friends and those they consider unfriendly or even their enemy. Which Country Is The Greatest Threat to World Peace? 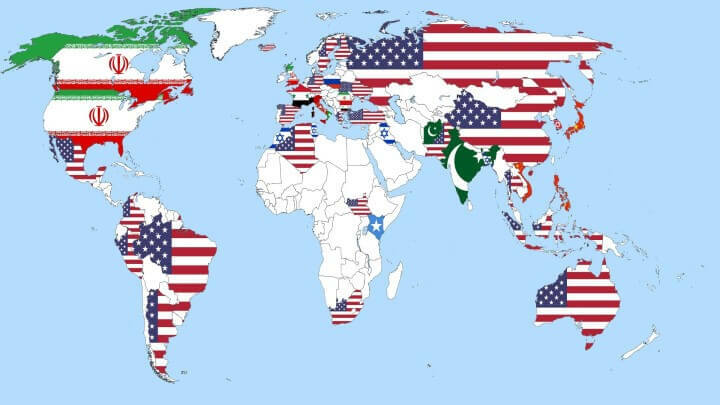 The map shows the results of a 2013 (pre-Trump) WIN/Gallup International survey asking people which country they felt was the greatest threat to world peace.